-Crack an egg in the shallow bowl and beat with a fork. Put the flour and panko breadcrumbs on the separate plates. -Mix the minced pork, oyster sauce, fish sauce, sugar, Thai red curry paste, salt, the herbs mixture and half of the beaten egg into the large bowl. Use your hands to bind all the ingredients together. -Lay the cling film (approx 30 cm*30 cm) on the flat surface. Use half of the mixture, squash and flatten the mixture on the cling film. -Put the boiled egg in the middle, then use the cling film to help roll the mince around the egg to completely encase. (Repeat the same process with the other boiled egg). -Put the oil and heat it in the deep fat fryer to 180 degree Celsius and fry for approx 10-12 minutes. 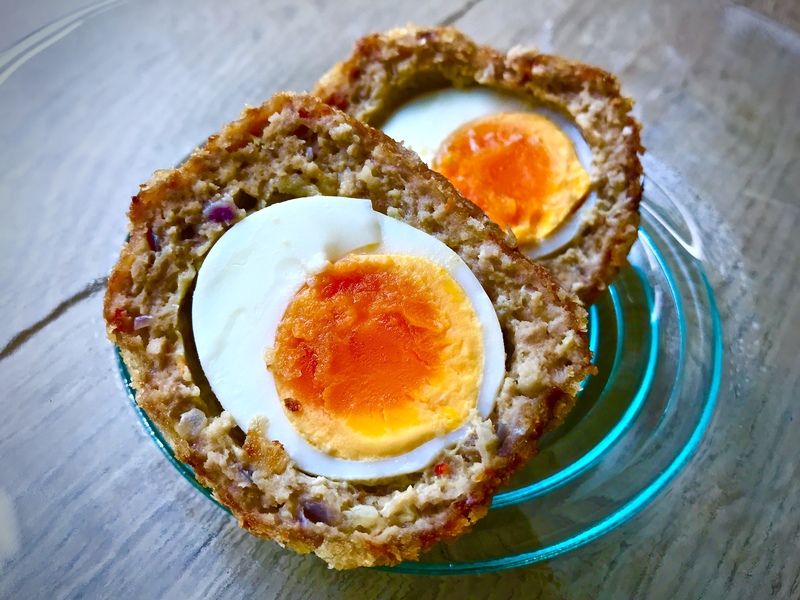 -Enjoy Thai Scotch Egg with a leafy salad or save it for later. It’s all good. 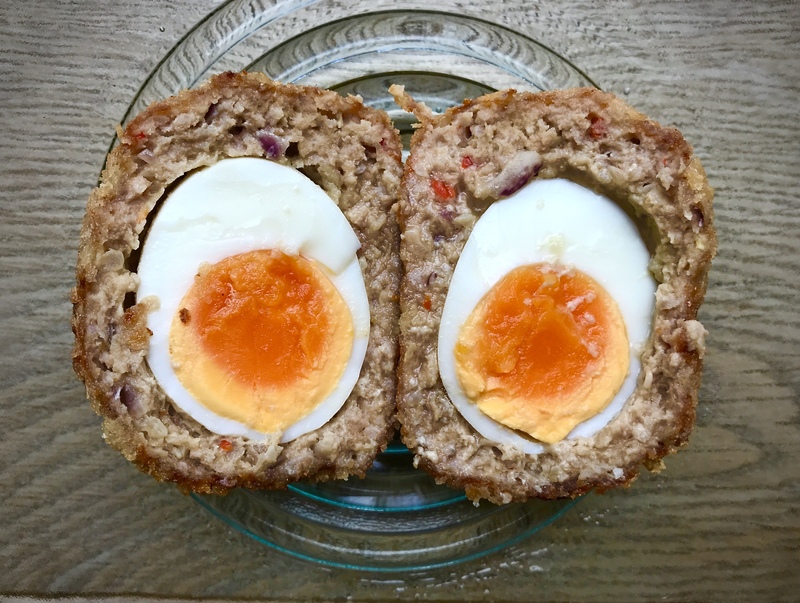 -How to boil an egg for the Scotch egg. I boil the egg about 7-8 minutes then remove the hot water quickly and put the egg in the icy cold water. Gently remove the shell as soon as the egg is cool down. -Check Thai Scotch Egg with Fresh plum sauce if you haven’t got a deep fat fryer. -I used Panko Breadcrumb this time. It is super light and extra crispy.